In a survival, emergency or first aid situation, it can often be necessary to preserve body heat of the ill or injured in order to prevent hypothermia. 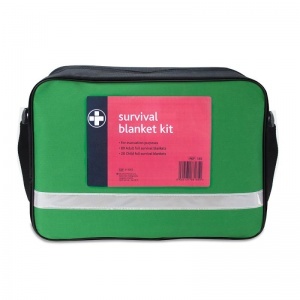 The Survival Blanket Kit in Green Marseilles Bag is the perfect resource, containing 100 emergency foil blankets in a handy, portable carry bag. It is ideal for first aiders at outdoor events or emergency evacuation scenarios. Foil blankets can retain over 90% of body heat by reflecting heat energy back to the user. They provide excellent protection against the elements, helping to prevent hypothermia when wearers are faced with poor weather conditions. The foil blankets are also highly reflective, which allows wearers to be spotted from a distance by emergency services. The blankets are ideal for outdoor use, and are highly recommended to carry for sporting events or any other outdoor events such as festivals or fairs. They are also suitable for large sites, such as student accommodation or hostels, where a high numbers of foil blankets may be required during emergency evacuation situations, ie. during a fire. The Green Marseilles Bag is supplied in an easy to carry case lined with a reflective strip for easy identification. 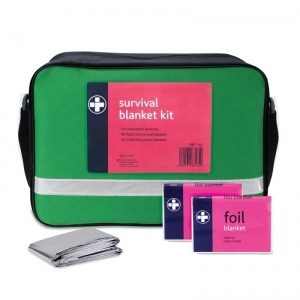 It can hold 100 emergency foil blankets to ensure that they are kept in a safe place for when you need them. It is a must-have for many public places, proving to be a potentially life-saving product. 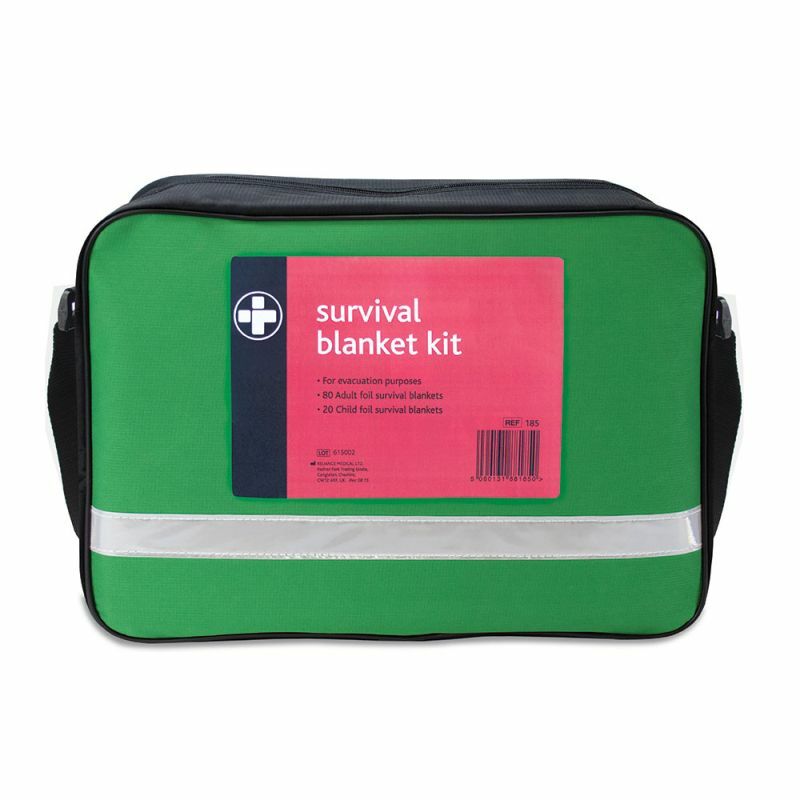 The Survival Blanket Kit in Green Marseilles Bag is usually dispatched via First Class Royal Mail and delivery should be within 1 to 3 working days.